An affordable financial analysis and planning outsourcing company for large corporates as well as small businesses. CPAOutsourcing has extensive experience across wide range of industries. Our online financial analysis is customized as per need of our clients. We offers financial planning services, financial analysis, financial ratio analysis, financial statement preparation, financial statement analysis, preparation of cash flow statement preparation, trial balance sheet preparation and reconciliation and generating various management information reports along with other bookkeeping and accounting services, payroll services and taxation services enable us to become a one stop solution for financial analysis. Our financial analysts have vast experience to deliver financial ratio analysis and financial statement analysis that ranging from small business to large companies. Our virtual financial assistants have knowledge to work with simple financial ratio analysis projects to complex financial ratio analysis projects. We assist our clients with our financial analysis and our high quality, time-bound and cost effective services which gives clear picture of how clients business performing or growing. 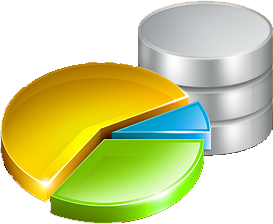 Our virtual financial statement analysis allow our users to focus on their main business activity and we can do all financial work on behalf of our clients using our offshore facilities in India. CPAOutsourcing do financial analysis, ratio analysis, financial statement analysis, preparation of income statement, balance sheet preparation and balance sheet reconciliation, analysis of cash flow statement, cash flow management and generating customized management information reports let our clients to run their business smoothly. If you would like to know about our financial bookkeeping and financial accounting, please feel free to contact us.